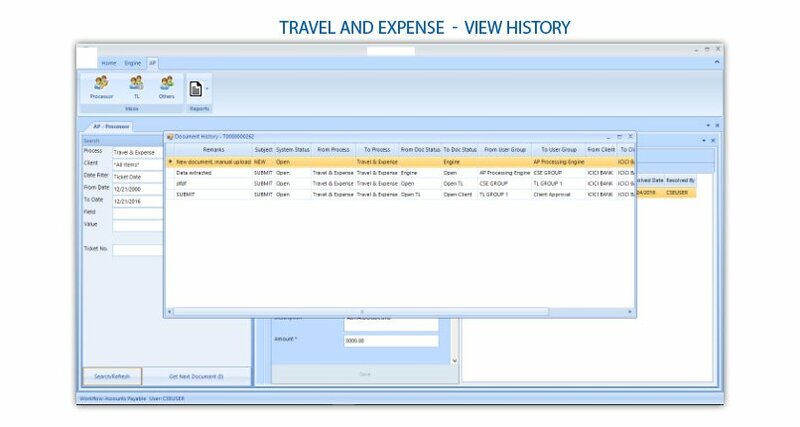 Streamline your account payable process, automatic capture of invoice data, eliminate physical invoices and storage space and cost. What is DocPro Accounts Payable Software System? DocPro Accounts Payable software is a leading automation tool for managing your accounts payable process. 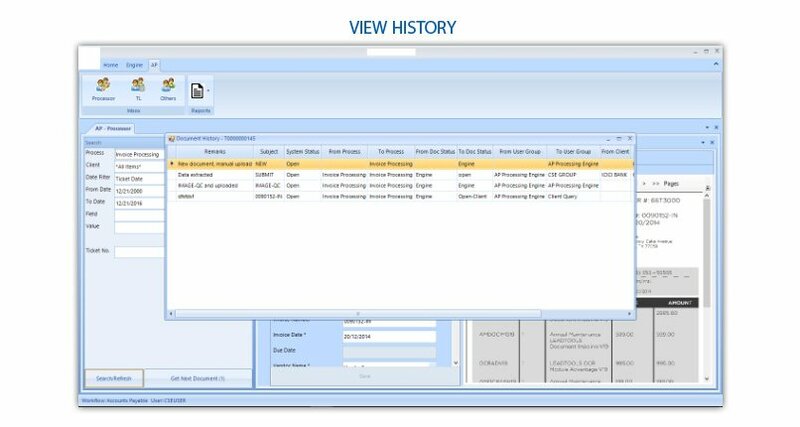 You can set up your entire accounts payable process in DocPro right from capturing the invoice data to the final payment cycle. 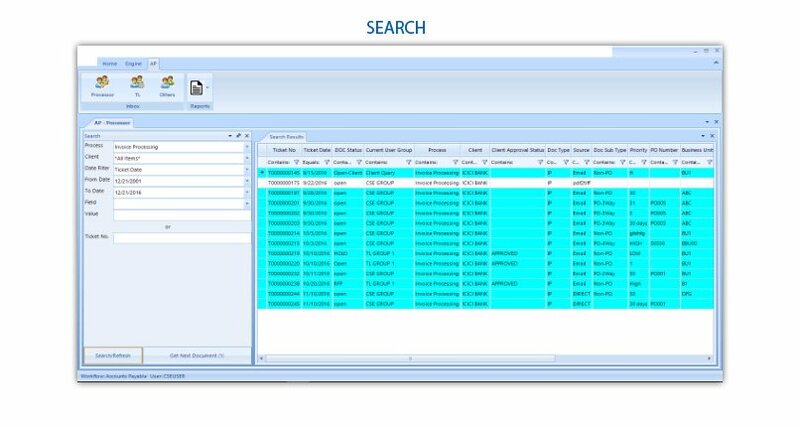 DocPro allows you to gain total control over the AP process as well as to get real-time visibility of the process. 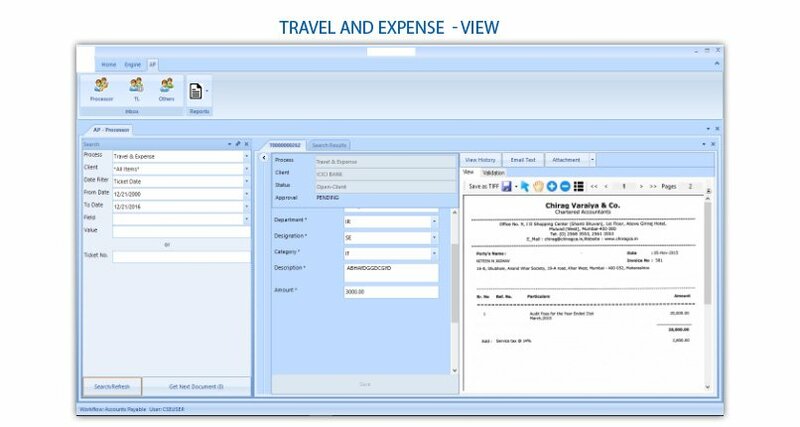 DocPro accounts payable automation software captures invoices, routes the tasks to the right employees in your organisation, verify invoices against POs and routes the invoices to the right approval authorities; thus propelling the efficiency of accounts payable team while significantly decreasing errors inherent in manual processing. 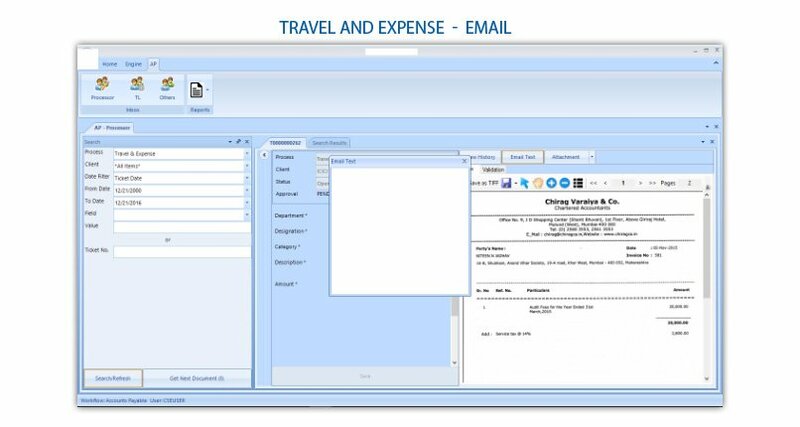 DocPro accounts payable tool can help your organization to get rid of manual processes, maintain accurate records, save time through automating the routine accounts payable process, generate updates and dues at a click of a button, in short, there is no looking back once the automation solution is implemented. The implementation of DocPro accounts payable system in the organisations results in lowered cost and increased operational efficiency. As a business, your relationships with your business partners will improve owing to your prompt and transparent payment system. 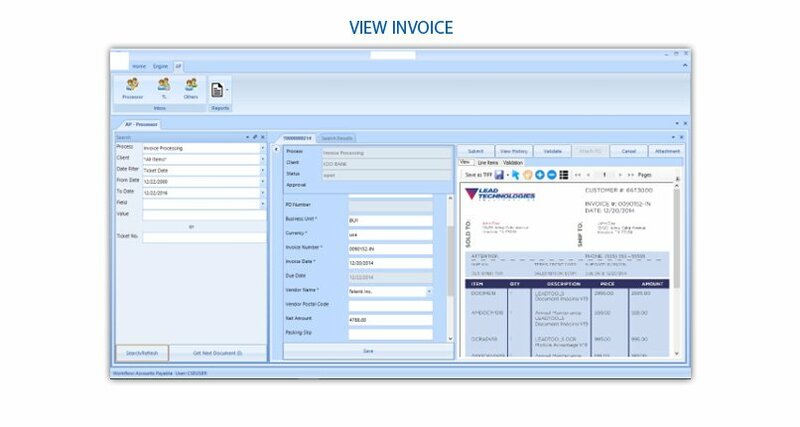 Accounts payable solution developed by Chrome Infosoft Solutions is in a key position to provide accurate forecasts of corporate cash requirements. However, efficient cash management requires process control and real-time visibility to obligations. DocPro accounts payable solution is designed meticulously based on our rich industrial experience. DocPro AP automation solution is flexible to address the challenges of new-age corporate payable processes while being reliable enough to withstand any data security threats and offers the ease of integrating seamlessly with current internal systems. 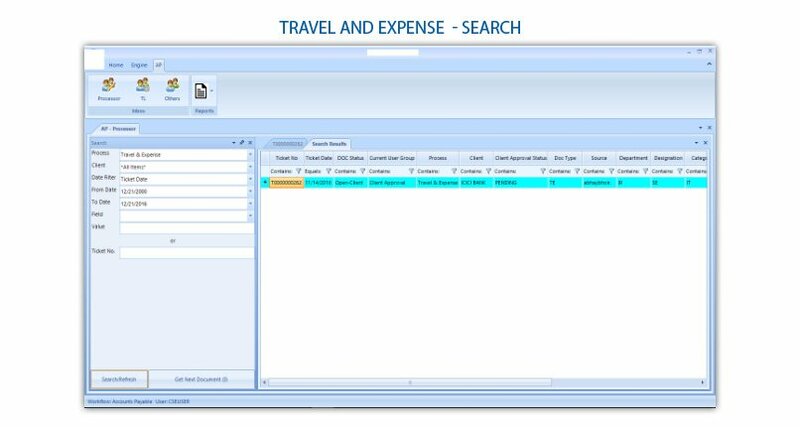 Processing an invoice includes recording important data from the invoice and inputting it into the company’s financial, or bookkeeping system. After this is accomplished, the invoices must go through the company’s respective business process in order to be cleared for payment. But this process becomes difficult when the invoices require processing on paper. 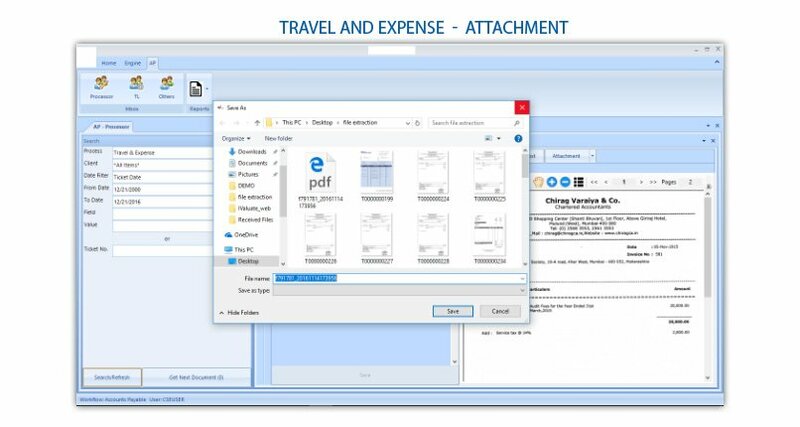 This can lead to invoice losses, human error during data entry, and invoice duplications. Other difficulties that may arise include cost and time to retrieve the lost documents, rearrangements for internal & external audits, sorting & delivery etc. With our DocPro Accounts Payable Solution, you can achieve complete freedom from manual data entry of invoices, delivery of physical invoice copies and invoice box storage space and costs. Since the payments, whether PO or non-PO, go online, and the process gets completely automated, it eliminates the need for human inquiries and validation; using DocPro you can accelerate invoice processing and approval turn-around times. Being platform-agnostic, DocPro “bolts on” and integrates with any core financial application on any existing system, allowing you real-time access to data, supporting documentation, GL detail, routing detail, and process owner actions — all in one location. 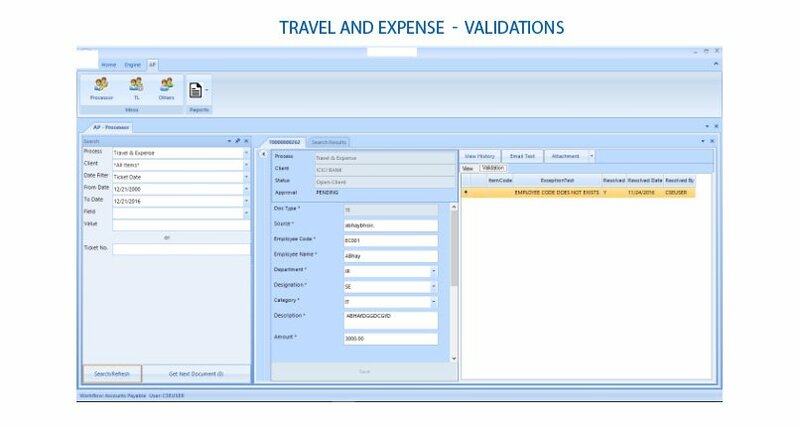 The invoice handling is done in real-time, assuring 100% visibility for a smoother process and knowing the status at regular intervals. 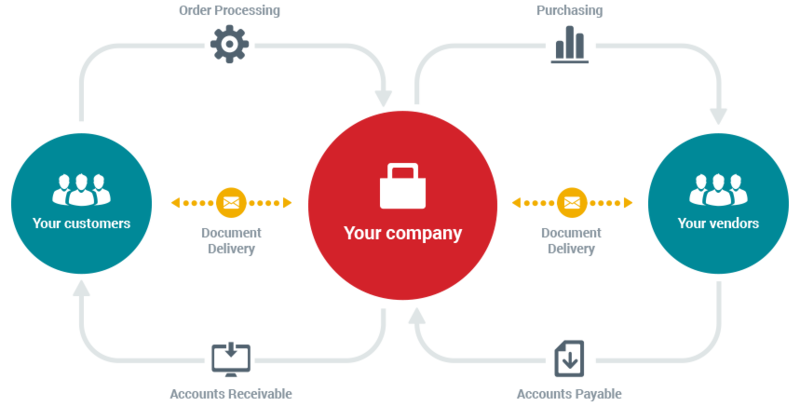 The workflow is controlled and tracked for better management of payment approvals and clearances. The DocPro Accounts Payables system brings in efficiencies to manage cash flow and streamlines working capital utilization. Access to information in the least possible time. With easy access to the information, you can report statuses and track outputs in a simple manner. You can define a priority for each task. Once high priority assignments enter the queue, the same would be notified to employees. Accordingly, the employees can complete these tasks first. The potential to embed internal controls in the system is another amazing benefit of DocPro. This is of great help particularly when regulations become more intricate. 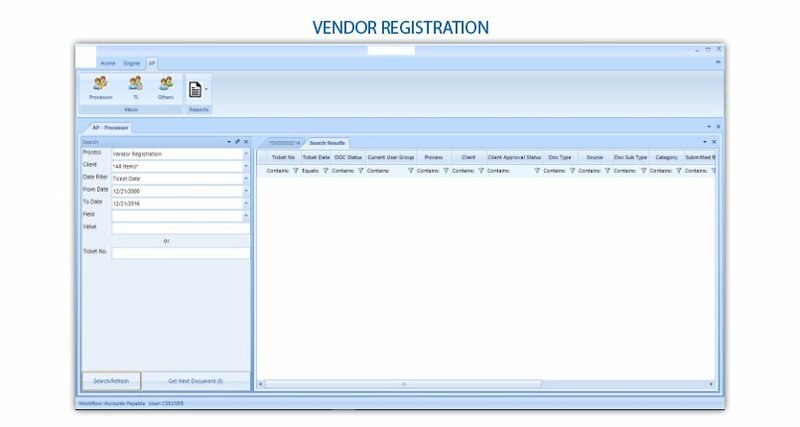 DocPro enables specialists and subject matter experts to emphasize the tasks they require to, freeing them up for most critical matters. 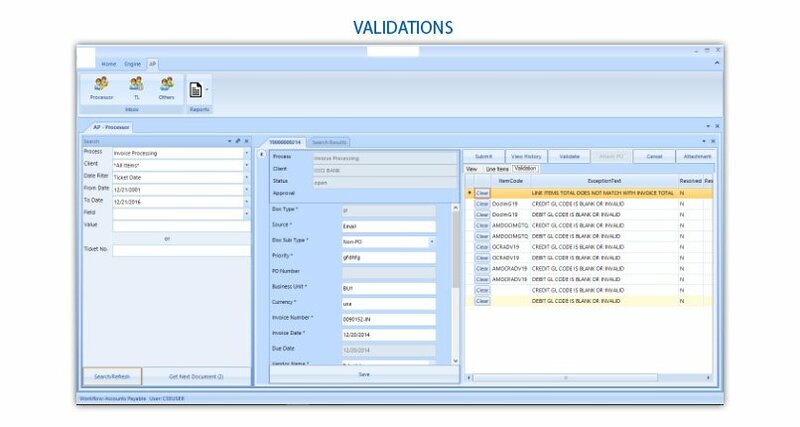 Automated notifications make sure employees know when tasks are pending. Tasks assigned to the workers on breaks can be conveniently delegated. Enhance improvement on a regular basis with flexibility. Design business procedures to handle changes. Send correct information to the concerned parties. Helps to save time as well as prevent bottlenecks. Monitor the progress of all processes. 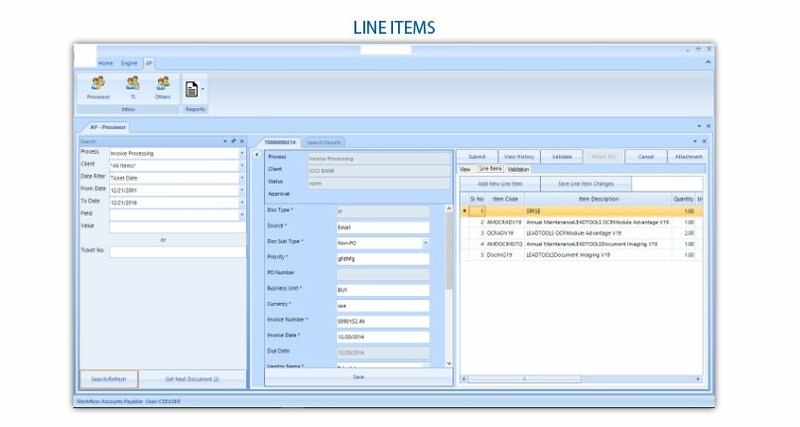 Ability to manage processes from a single place. At Chrome Infosoft we make sure first to understand the way your business manages the work processes. Our experienced team members study and understand the various processes and applications involved in your business. We then configure DocPro Workflow and make it as convenient as possible for your business. 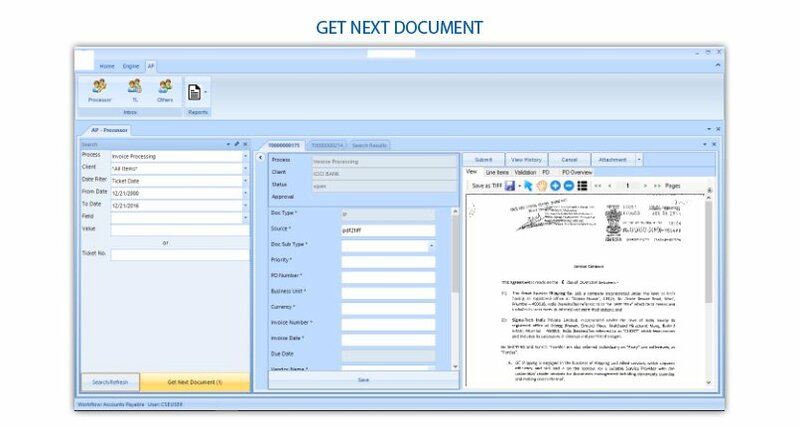 DocPro is perfect for different domains related to creative, marketing, IT, operations, products, projects, and more. DocPro Workflow enables organizations to conveniently craft solutions to combat the challenges of a dynamic market environment and intricate business processes often driven by risk, compliance, and governance. No two businesses are the same and face similar challenges. That is why we offer a flexible workflow model that is effective in helping companies to execute custom workflow solutions. 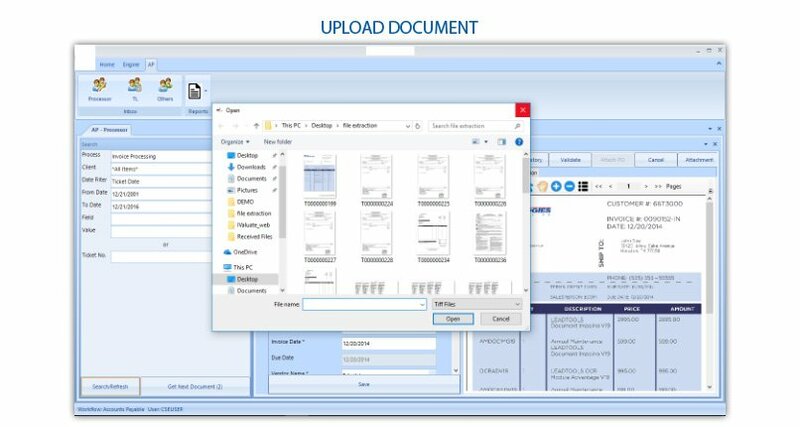 With DocPro Workflow, companies can model, automate, and easily and regularly enhance processes and route all sorts of information based on business rules and regulations in a simple and an efficient manner. Please get in touch with us for pricing. Because we believe in transparency and forging long-term mutually beneficial relationships with our customers. Chrome Infosoft Solutions Pvt. Ltd. is a leading solutions provider of Business Process Management Solutions (BPM), Document Management System (DMS), Workflow System, Records Management System and Accounts Payable Automation software. Copyright © 2019 Chrome Infosoft Solutions Pvt. Ltd., All Rights Reserved. Please fill in the details below. We will mail you a link and your login details for trial.